Professor Lonne is the Discipline Leader of Social Work in the School of Health at UNE. Bob’s distinguished career has included direct practice and managerial positions in the mental health, statutory child protection and juvenile justice fields in both Queensland and Western Australia. . He has been an academic at QUT, University of Queensland and UNE and has held senior leadership roles. Professor Lonne is recognised by Inquiries as an expert witness regarding child protection systems and was cited over 40 times in Queensland’s Carmody inquiry report into the child protection system. He and his UNE colleagues have undertaken research for the NSW ‘Their Futures Matter’ reforms (FACS) investigating assessment tools and policies for the ‘front door’ of child protection systems to improve access by families and children in need, and along with colleagues from other universities he has undertaken research about children’s views of safety for the Royal Commission into Institutional Responses to Child Sexual Abuse. accreditation standards for schools of social work. Professor Lonne remains very active in high level policy forums and committees concerning areas such as child protection reform and workforce issues affecting the health and community services. He also works closely with a number of community-based human service organisations. Professor Lonne attended the Australian 2020 Summit in relation to the issues affecting rural communities. He was the National President of the Australian Association of Social Workers from 2005-2011, having been twice elected by members, and was formerly the Elections Officer for the International Federation of Social Work. Bob teaches in social work courses at the undergraduate and postgraduate levels, teaching across a range of units. His teaching interests include general social work practice knowledge and skills, Theories, models and practice methods and processes, and he has a particular focus on child protection and youth justice. His interests include the broad societal issues affecting social policy and service users in the increasingly complex and often fragmented health and community services. 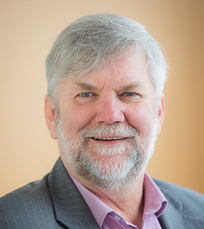 His research and scholarship regarding the systemic responses to child abuse and neglect have resulted in his being invited to participate and contribute to policy forums at the state and federal levels, and internationally such as the implementation of early intervention and prevention strategies in Ireland, and with the Ministry of Human Services, Alberta, Canada regarding Outcomes Based Service Delivery initiatives in child welfare. He was a Ministerial appointment to the FACHSIA-ARACY Common Approach to Assessment, Referral and Support (CARRS) Taskforce 2009-2012 and to CARRS Evaluation Group, and numerous health and human services workforce forums and committees, including the Queensland Clinical Education and Training Council oversighting HWA workforce development and expansion initiatives, and the Queensland Department of Communities, Child Safety and Disability Services Child and Family Reform Stakeholder Advisory Group overviewing the implementation of the Carmody Inquiry reforms. Lonne, B., Scott, D., Higgins, D., & Herrenkohl, T. (Eds.). (in press). Re-visioning public health approaches for protecting children. New York: Springer Publishers. Lonne, B., Harries, M., Featherstone, B. & Gray, M. (2016). Working ethically in child protection. London: Routledge (Taylor & Francis). Lonne, B., Parton, N., Thomson, J., & Harries, M. (2009). Reforming Child Protection. London: Routledge. Cheers, B., Darracott, R., & Lonne, B. (2007). Social care practice in rural communities. Annandale, NSW, Federation Press. Duthie, D., Steinhauer, S., Twinn, C., Steinhahauer, V. & Lonne, B. (in press). Understanding Trauma and Child Maltreatment Experienced in Indigenous Communities. . In B. Lonne, D. Scott, D. Higgins & T. Herrenkohl (Eds. ), Re-visioning public health approaches for protecting children. New York: Springer Publishers. Herrenkohl, T., Lonne, B., Scott, D., & Higgins, D. (in press) New Directions for Public Health Approaches: Key Themes and Issues. In B. Lonne, D. Scott, D. Higgins & T. Herrenkohl (Eds.). Re-visioning public health approaches for protecting children. New York: Springer Publishers. Higgins, D., Lonne, B., Herrenkohl., T. & Scott, D. (in press). The successes and limitations of contemporary approaches to child protection. In B. Lonne, D. Scott, D. Higgins & T. Herrenkohl (Eds.). Re-visioning public health approaches for protecting children. New York: Springer Publishers. Higgins, D., Sanders, M., Lonne, B., & Richardson, D. (in press). Families – private and sacred: How to raise the curtain and implement family support from a public health perspective. In B. Lonne, D. Scott, D. Higgins & T. Herrenkohl (Eds.). Re-visioning public health approaches for protecting children. New York: Springer Publishers. Merkel-Holguin, L., Fuller, T., Winokur, M., Drury, I. & Lonne, B. (in press). How Can Differential Response Inform a Public Health Approach to Child Maltreatment Prevention? In B. Lonne, D. Scott, D. Higgins & T. Herrenkohl (Eds.). Re-visioning public health approaches for protecting children. New York: Springer Publishers. Darracott, R. & Lonne, B. (2017). Social work in rural and remote communities, K. Ellem, E. Chui & J. Wilson (Eds.) social work and human services: Best practice (pp. 185-207). Annandale, NSW: Federation Press. Lonne, B., McColl, G., & Marston, G. (2016). Community recovery, In G. Fitzgerald, P., Aitken, M., Tarrant & M. Fredriksen (Eds.) Disaster health management: Primer for students and practitioners. London: Routledge (Taylor & Francis). Lonne, B. (2016). ‘Australian social work in the twenty-first century: Workforce trends, challenges and opportunities’, in G. Palattiyil, D. Sidhva & M. Chakrabarti (Eds.) Social work in a global context: Issues, trends and challenges, (pp. 268-286). London: Routledge (Taylor & Francis). Lonne, B. (2015). Mandatory reporting and the difficulties in identifying and responding to risk of severe neglect: A response requiring a rethink. In B. Mathews &. Bross, D. (Eds. ), Mandatory reporting laws and the identification of severe child abuse and neglect, pp. 245-273. New York: Springer. Gillespie, K., McCosker, L., Lonne, B., & Marston, G. (2014). Australian Print Media Framing of Mandatory Reporting. Communities, Children and Families Australia, 18(2), 13-28.